We read in the news weekly, sometimes daily, about advanced, persistent cybersecurity threats from nation-states, and we are constantly evolving our thinking to innovate against these threats. Cybersecurity is a critical component for the secure and reliable operation of electric power systems and an important priority for Congress. The Senate held a hearing two weeks ago on the status and outlook for cybersecurity efforts in the energy industry. One of the issues most critical to the cybersecurity challenges we face in the energy industry today is the act of balancing regulation and innovation in addressing cybersecurity threats. There are clear and obvious needs for cybersecurity standards and regulation, but they can also create challenges for addressing cybersecurity threats. Regulations are often implemented as a reaction to an undesired event. Developing a regulation may be fine to address static situations, but cyber is a dynamically changing environment. As soon as a regulation is enacted to address a specific issue or event, bad actors are already looking for other avenues of exploitation. Regulations also have the capacity to limit how an institution may go about solving a problem. For example, if a new and innovative solution does not conform to regulations but is the best way to address a security element at a company, the company may choose not to employ the solution, or worse, be fined for noncompliance if they chose to use that solution. Further, regulations will never be able to anticipate new and innovative solutions. For example, NERC CIP-005-5 requires multifactor authentication for all Interactive Remote Access sessions. What happens when new and potentially more effective authentication methods are developed? Innovation and regulation do not have to be at odds with each other. We need to work together to find ways to continue fostering critical innovation that outpaces our adversaries. 1) How should the federal government be working with industry to maximize our efforts to combat cybersecurity threats? 2) How can cybersecurity standards and regulations in the energy industry be more responsive to the changing dynamics of cybersecurity threats? 3) How can we assure that necessary cybersecurity standards in the energy industry do not hinder innovative ways of solving cybersecurity challenges? By Tyson Slocum Director, Energy Program, Public Citizen, Inc.
Media and government reports have recently highlighted significant cybersecurity vulnerabilities to U.S. energy infrastructure, particularly for utilities. The North American Electric Reliability Corporation, which reports to the Federal Energy Regulatory Commission, is in charge of enforcing compliance with cybersecurity standards for the utility industry. In the last year, NERC has handed down two record penalties to utilities for significant cybersecurity compliance violations – and in both cases, it has shielded the identity of the violator from the public. Public Citizen has intervened both times at FERC seeking to simply make the name of violators public (the latest is FERC Docket No. NP19-4), but the Commission has thus far refused to compel the public release of the names of violators. Efforts to take cybersecurity seriously cannot begin until we make the names of major violators part of the public record. Directing the public release of Notice of Penalty violators will not jeopardize cybersecurity, the security of the Bulk-Power System, or national security. Public release of the names of utility violators could improve cybersecurity, as regulators and stakeholders could use such public information to better educate and prepare the utility’s practices. In general, the more information that regulators and the public have about violators, the better able we all are to learn from past mistakes and reduce the likelihood of future ones. 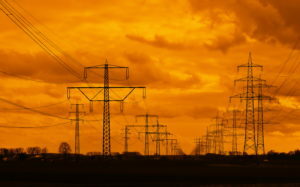 Keeping the public in the dark about the cybersecurity track record of our electric utilities may actually create a false sense of security, and reduce the likelihood of more public awareness and vigilance needed to protect cybersecurity. By David Whitehead Chief Operating Officer, Schweitzer Engineering Laboratories, Inc. Thank you for your comment. Keeping ahead of cybersecurity threats in the energy industry sector requires collaboration and communication among utilities, their boards of directors, regulatory agencies, manufacturers and government. The challenge is figuring out how to share information about the threats with the stakeholders, without unintentionally aiding bad actors. I do believe there is risk with publicizing the names of utilities with vulnerabilities or gaps in their NERC CIP compliance. Broadly disseminating specific utility NERC CIP gaps to the general public would do little to make systems more secure but could aid bad actors in achieving their objectives. I am a proponent to sharing cybersecurity information with those that “need to know”, however, not everyone needs to know. Regarding the Innovation/Regulation challenge, the fundamental goal for NERC should be to ensure utilities adequately protect themselves from critical threats. It seems the current approach instead identifies a set of controls that are traditionally necessary to protect against known threats, but as Mr Whitehead suggests, inefficiencies arise when more efficient solutions exist, or when they’re incomplete (e.g., the new CIP supply chain control). For example, 2FA primarily addresses the threat of compromised/weak authenticators, but other controls also help manage these threats (e.g., network white-listing auth clients, strong auditing of auth attempts). I’ve always preferred the NIST RMF approach, as it enables compensative controls due to environmental constraints (800-82 highlights many of these). Unfortunately, such approaches are difficult to audit (its not just a checklist). However, I believe the innovation/regulation constraints can be reduced by (i) better methods to clearly defining the threats (e.g., MITRE ATT&CK), and (ii) repeatable methodologies/frameworks to validate whether a set of security solutions address these threats (such as NIST 800-160).